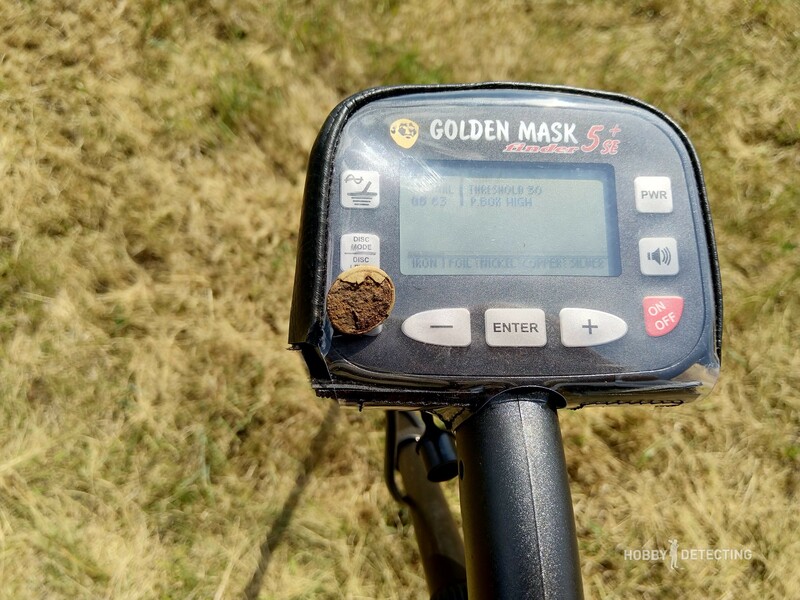 I have used the metal detectors from Golden Mask for a long time, this is so to say not the first year. I have some experience with the Golden Mask 4 PRO and the Golden Mask 5+, but in 2018 the manufacturer introduced a further improvement, the Golden Mask 5+ SE, which means SE-Special Edition, probably. So to speak, an even more improved version of the famous Mask 5. You can say that nothing has changed in appearance, buttons and menus are in the same place, from the 5+ almost everything is alike except changes in electronics. But we’ll talk about this a little later. We ordered a kit with two coils to actively walk on ancient fields and find artifacts and coins. 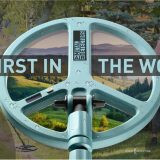 For this purpose, the 12″ Spider coil and 9″ coil is perfect for detecting in the forest, ravines and littered places. The standard kit is pretty rich – here you have the detector, covers, and 10 AA batteries with a charger. 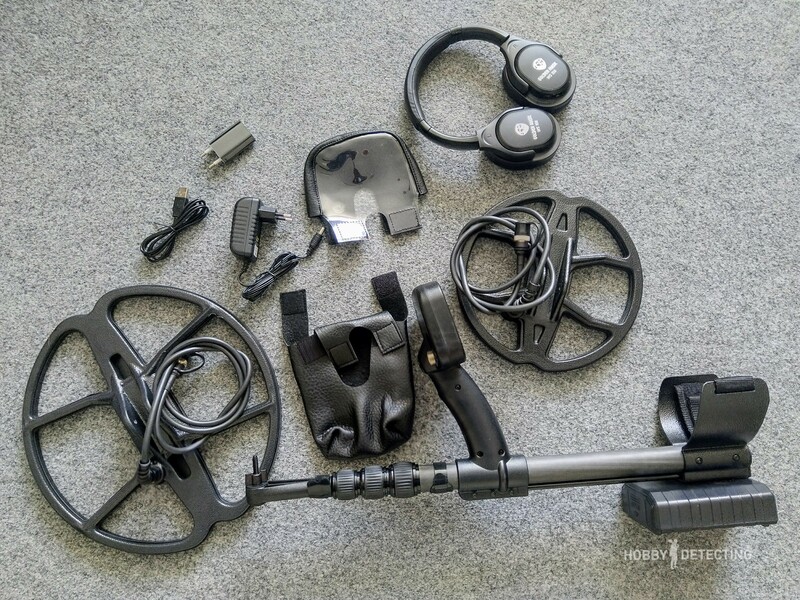 By the way, the batteries, like in most other models of metal detectors Golden Mask, are charged directly from the battery compartment, and this is a big bonus. Headphones are wireless and when ordering, you can choose a model – either the WS105 or the WS106. I chose the WS106 – I liked them better, they sit better on my head. For headphones, there is also a separate charger with a micro-USB cable. At this final price, the detector is one of the best complete kits that exist on the market today. 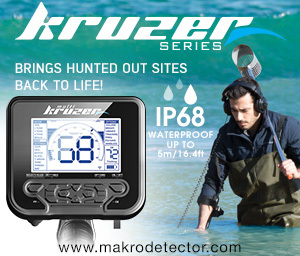 The Mask 5 has always been considered a strong detector in its class. 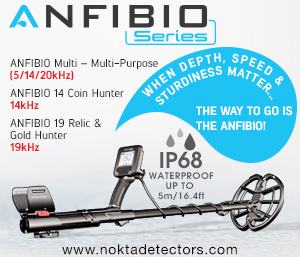 The detector is quite flexible in settings and allows you to adjust either to achieve the greatest depth or for the fastest response to dig in littered places. I usually choose an intermediate level, trying to make the most of the high settings of PBow and Gain. Gain: has 3 levels (0,1,2). This gives an increase in depth. PBox: also has 3 levels (Low, Medium, High). This also gives an increase in depth. Iron Volume – now you can put it completely to zero and the detector will react only to signals from non-ferrous metals. Very useful in littered fields! All the rest of the menu remains the same. As I already wrote above, all the changes were in the electronics part, and this is noticeable immediately. The detector works much more stable than previous versions. I set the threshold tone level to the max (30) and the detector behaves quite stable. Previously, on my Mask 5+, I could set it to only 25-26. 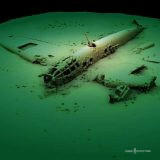 Thus, the depth is increased to small targets. 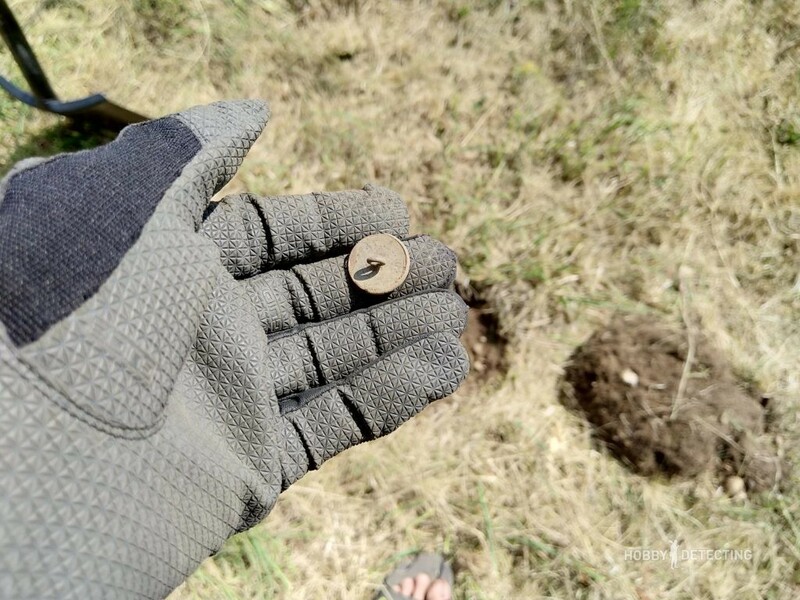 For example, I found this button on a depth of almost 25 cm. A small object, made of several metals, it’s good that the shovel I use digs deep and big holes, and therefore I managed to quickly dig out the target. On the other hand, the button, as seen in the photo below, simply oxidized, apparently not the best metal for its production was used. The detector during operation behaves very stable and gives a clear signal when there is an object under the coil. This was also the case with this button. Despite the places protruding beveled hard grass, the detector coil, when hit by something, did not give false signals. Usually, such grass causes interference with most metal detectors. Of the interesting changes – since the coils are new, it is clear that they have also been improved, the coils have a changed cable. 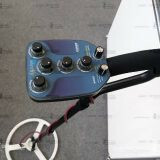 It must be that the replacement of the cable also influenced the more stable operation of the metal detector. Another good example is a 1 Kopeck of 1913 that I found with this detector at a depth of 23-25 cm. A good depth in this stony ground! 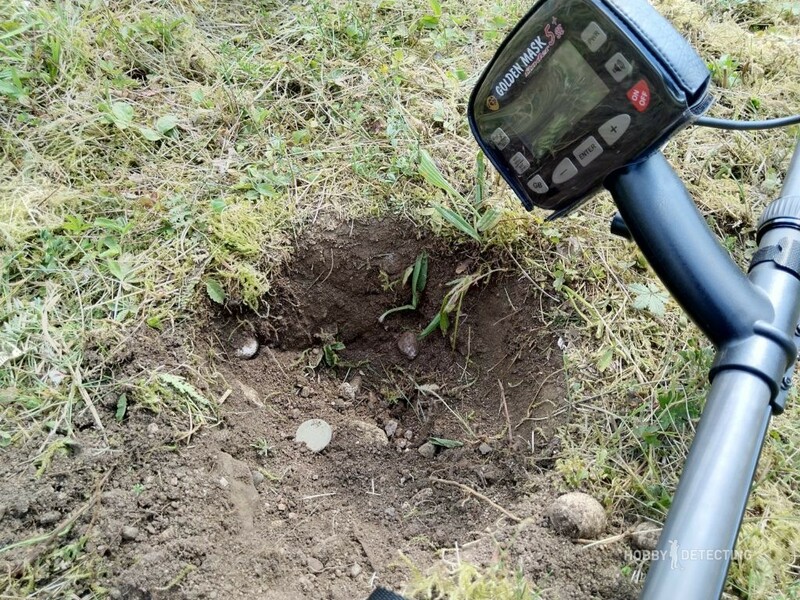 1 Kopeck from 1842 that I found at the end of the field, but the signal from it was impossible to miss, because of the coin laying 15 cm down, almost on the surface. 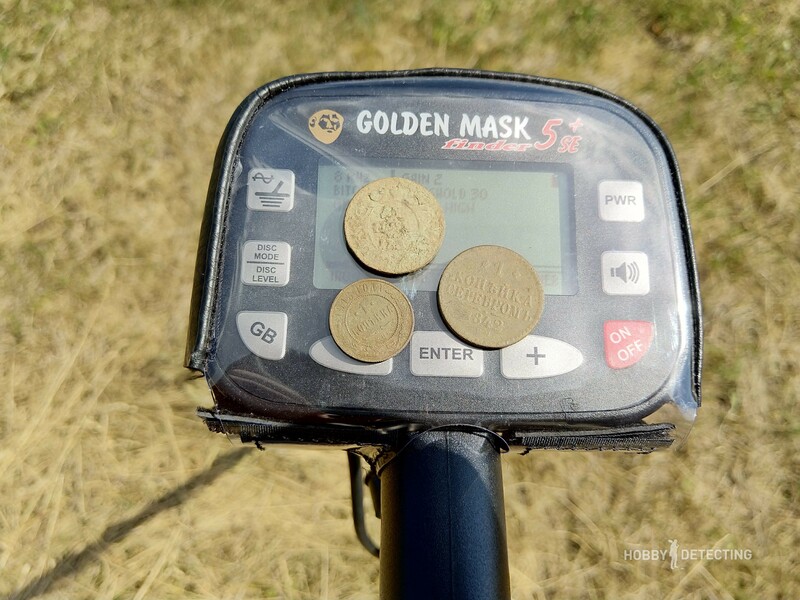 A great field with a good fortune for coins! As an example – a freshly dug pit with a coin. 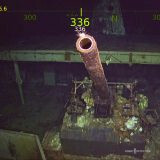 Of course, the detector clearly shows if there is a useful find beneath the coil or a large iron/unwanted target. The manufacturer assures that the detector is working at 80% analog technology, but the separation of targets and discrimination of objects here is at a good level! A couple of times I was mistaken with deep signals and I dug out small oxidized rusty pieces of metal, but such objects give a signal with any detector as useful and can not be ignored at all. Otherwise, the detector clearly shows what’s under the coil, and in most cases, it turns out to be right. 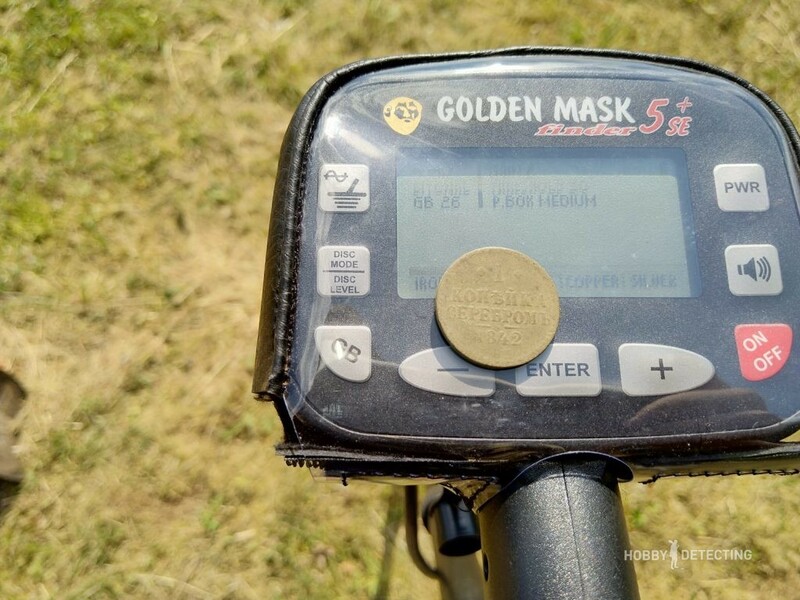 Since the Golden Mask 5 Plus SE has 2 frequencies: 8 and 18 kHz, then we must choose a frequency based on what items we will hunt for. ? In the fields where I was this time with my GM 5 + SE, I used the 8 kHz frequency, Gain 2, PBox: High, Threshold: 30, Disc. Depth: 7-10, Disc Mode: Bi-tonal (mono), GB is usually at a level of 28. Of course, you could set the All Metal, but the field was a bit littered and I used two-tone discrimination. For heavily littered places and beaches, I would recommend using a frequency of 18 kHz, Gain 0-1, PBox Medium/Low, Threshold at 30, Disc. Depth at 12-15, Disc mode: Bi-tonal. 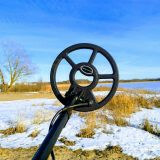 As for the frequency selection, it’s preferable to use 18 kHz frequency as often as possible, but sometimes I use 8 kHz, especially on fields that have not been plowed for a long time – the frequency of 18 kHz may not be enough to pick up all the deep signals of a non-plowed field at the limit of the detection depth of the metal detector. 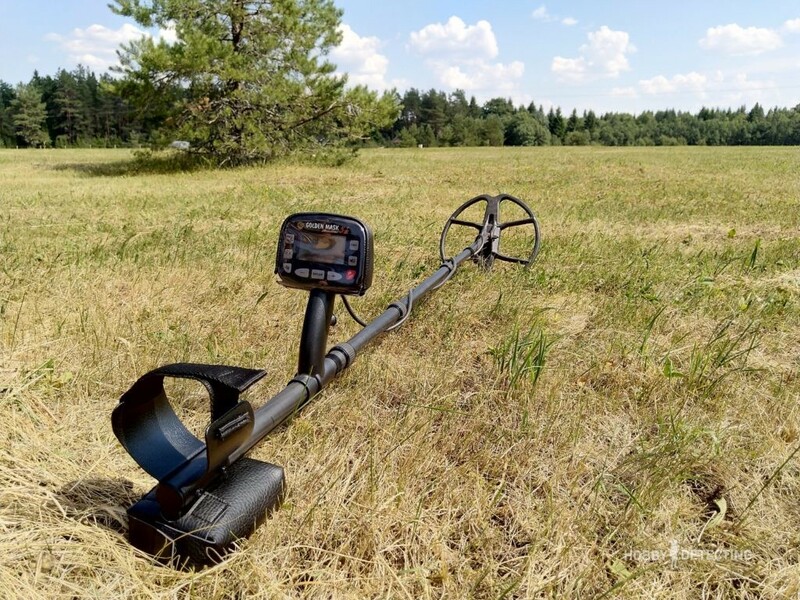 In general, the settings are most optimal when choosing based on your own conditions, the ground, the type of detecting and what exactly you want to find, so I gave you the main direction. To sum it up the total – you need to look at which market you are buying the detector from. 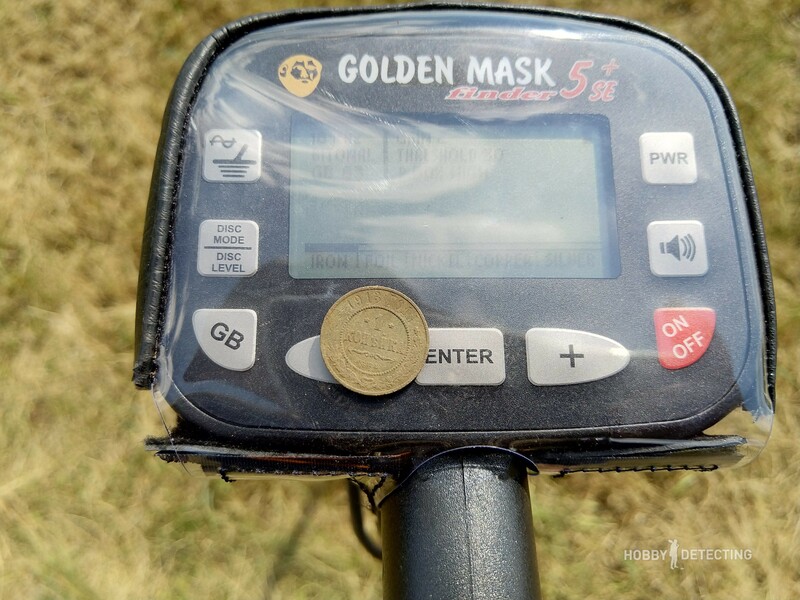 In Europe, where the price for metal detectors is quite high, the Golden Mask 5 + SE takes a very advantageous position, because its price is at a level where semi-professional and average metal detectors cannot compete with it in price, and the Mask with the new upgrade shows a better result, sometimes overtaking professional metal detectors in their search characteristics. It may not be the biggest “harvest” from the field in the photo above, but my friends that walked nearby were left without any finds. Just Luck? Or coincidence? I do not know. 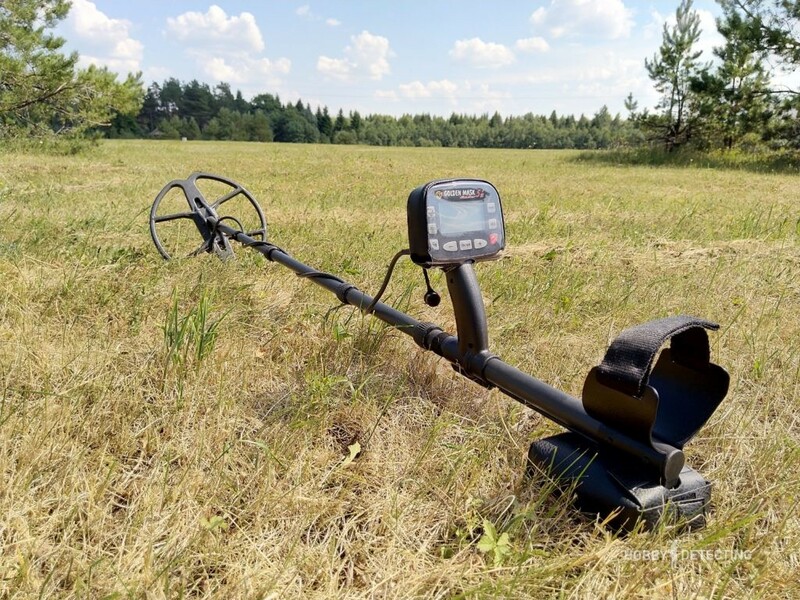 In tests, the metal detector is clearly better than its competitors on the same level and it can be recommended for purchase even as a first metal detector, it will be quite easy to understand it, especially using the settings above.